Detroit, Michigan – The Jalen Rose Leadership Academy announced today that Dr. Charles P. Muncatchy has been selected to become its Educational Entrepreneur. Dr. Muncatchy will leave his position as superintendent of the Mount Clemens Community Schools District to develop and implement an innovative instructional program to ensure the achievement of underserved young people in Detroit at the Academy scheduled to open in Fall 2011. Founded by ESPN/ABC studio analyst and 13-year NBA Star Jalen Rose, the Jalen Rose Leadership Academy will be a charter school designed to provide a rigorous, nurturing college-prep experience for Detroit students who will have real-world, project-based experiences organized around themes and career opportunities in leadership, sports management, and entertainment industries. This high school will ensure students receive extensive college exposure and course opportunities through a partnership with University of Detroit Mercy. The Academy is committed to ensuring 100% of its students graduate from high school, 95% enroll in college, and 90% of those enrollees will graduate from college. Enrollment will be open to residents of the City of Detroit, as well as surrounding communities. The Jalen Rose Leadership Academy will soon finalize plans for acquisition and remodeling of an existing school site in the City of Detroit. “We are elated to have one of Michigan’s top administrators join our team. We are confident Dr. Muncatchy will bring innovation and excitement to our students, keeping our school at the forefront of an entire urban educational transformation,” said founder and Detroit native Jalen Rose. Dr. Muncatchy joined the Mount Clemens Community School District in 2007. 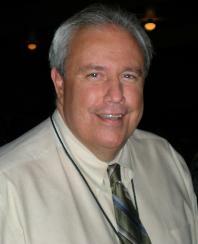 Previously, he was the Director of Secondary Teaching and Learning for Lee County Public Schools in Fort Meyers, FL. He has also served as superintendent for a number of school districts including; Groton Public Schools in Mystic, CT.; West Ottawa Public Schools in Holland, MI. ; and Memphis Community Schools in Memphis, MI. Dr. Muncatchy earned his Doctor of Education in Administration, Leadership and Policy from the University of Michigan. “I have very fond memories of the Mount Clemens Community Schools District, but at the same time, I’m thrilled to be working with Jalen Rose and I’ve always wanted to develop a school from its inception,” said Dr. Muncatchy. Michigan Future, Inc., through its Michigan Future Schools program awarded the Jalen Rose Leadership Academy a planning and technical assistance grant for the planning year and first three years of operation to provide a rigorous, college-preparatory curriculum, college transition and college success support staff positions, real-world project-based instruction, and an assurance that the school will serve students from the City of Detroit.